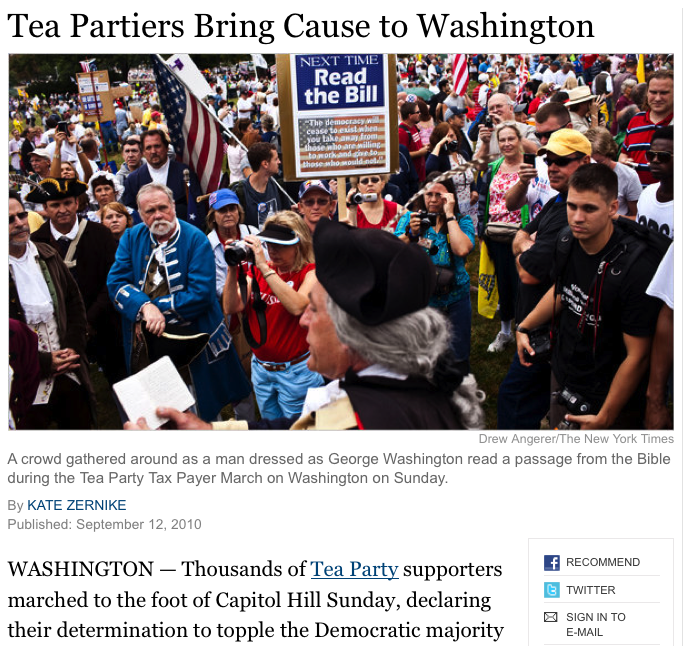 I’m heading to DC this week on the coattails (har de har) of a Tea Party march on Washington, DC, held today at the foot of Capital Hill. While there Tuesday-Thursday, I’ll keep a close eye out for stickers, fliers, street posters, and ephemera for and against. The last time I was in DC over the summer, however, it was s-l-i-m pickings. Can’t look at it. Can’t look away.